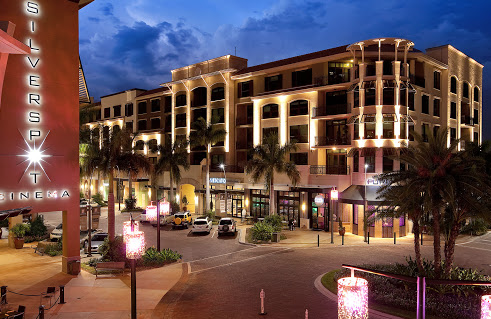 The upscale Mercato retail and office complex in North Naples are making capital improvements aimed at keeping the complex fresh and inviting and maintaining its status as the pre-eminent shopping experience in North Naples. New tenants will include Chicago-based restaurant The Hampton Social, fashion purveyor Southern Tide, fitness concept CycleBar and apparel and linen merchant Cariloha Bamboo are expected to debut in the coming months. Rocco’s Tacos,Tequila Bar and TooJay’s Deli are scheduled to join Mercato’s tenant mix sometime early next year. The new tenants join a solid roster of stores, restaurants and services at Mercato, anchored by Whole Foods Market, Nordstrom Rack, Silverspot cinema, Sur La Table, Capital Grille, Blue Martini, Tommy Bahama and others.